Call Center CX Consulting 'Sale' | The Taylor Reach Group Inc.
Are you planning to employ a call center or customer service consulting service in this quarter? Are you looking at improving your centers efficiency, increasing revenues, selecting new technologies or evaluating outsourcing options? All of these are tasks our experienced call center consultants have extensive experience completing. 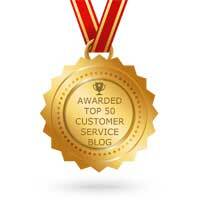 Are you looking to assess your service quality, benchmark your customer experience? We have experience and can assist you with this. Due to client project delays, The Taylor Reach Group has excess capacity. Our Misfortune could be to your Opportunity. For new projects that sign in January and that begin by February 15th we will provide a 50% discount off our standard fees, minimum project size and some conditions apply. Limited time offer. This means that senior consultants who charge $300/hour are now available at $150/hour. Remember that all of our consultants have at least 20 years of ‘hands on’ operational experience.